Recently I started a redesign for the Griffin amplifier. Why a redesign? It’s a long story that involved me talking to a lot of smart people. For this newest redesign, I needed my own test equipment, so I dropped a few bucks on this. She’s a beauty and I’ve been having a lot of fun. 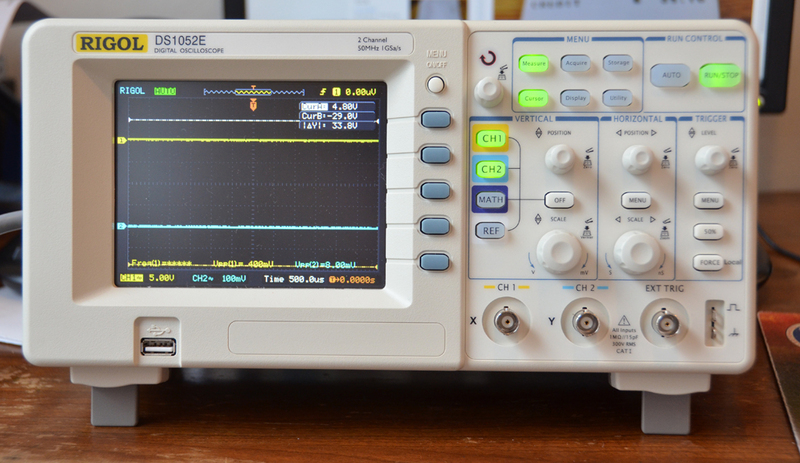 However to test an amplifier, you not only need something that can display the input and outputs of an amplifier, but you need something to generate a test signal in the first place. I needed a signal generator. I tried several ideas to attain this end. First I tried to take the 1 kHz calibration signal from the oscope and make an input signal for the amp. Some how I messed that up. 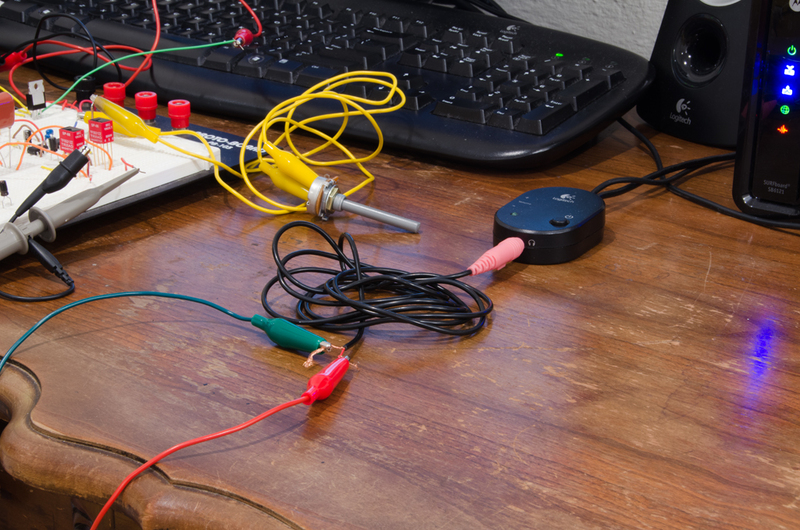 Second I attempted to build my own function generator from some spare parts lying around. This was also a strikeout. Finally, dejected, I gave up and faced the cold hard reality that I might have to buy a $350 signal generator. It wasn’t until the next day at lunch that new inspiration lead me to a different approach. While explaining the problem to my wife she said, “Can’t you just get your computer to do that for you?” The more I thought about it and talked it out, the more I realized how right she was. 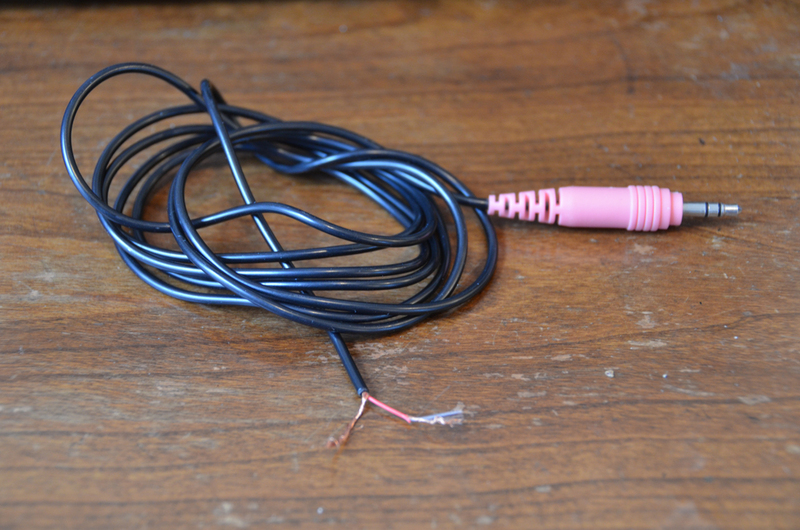 Take your old computer microphone and cut the microphone off the end of the wire. What you want to retain is the plug and the long wire. Next, take the end of the wire and strip it back. You should find two different wires. Strip the plastic off of both these wires until you can see the copper. After you have prepped the wire, plug it into your sound card making sure that the two bare wires remain separated from each other. Finally, follow the links below to generate each audio frequency you desire. To use the frequencies above 15 kHz, make sure you play the YouTube recording back in 720p mode. To the blessed soul that took the time to record all of these values and put them on YouTube, I thank you sincerely. As an audio range signal generator, this setup works great but there are a couple of hazards of which you need to be aware. Make sure you are not feeding DC voltage into your sound card. Doing so could permanently damage your card. If you feel this might be a problem, put a 10uF or greater capacitor with the appropriate voltage rating in line with the output of the sound card for protection. Do not directly short out the wires coming out of the sound card. For that matter, do not put a load on the card less than 8 ohms for an extended period of time. For some sound systems attaching such a small load can be problematic.